It is only natural to want to save money and do something like garage door repair yourself. After all, what is the harm? You can find the parts, and save a load of money on contractor labor. It will be way better than calling up a garage door service like Clarks Garage Door & Gate Repair, right? WRONG. 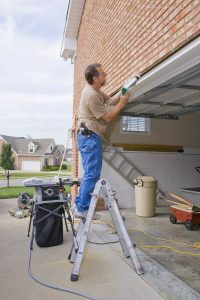 There are many reasons why do it yourself garage door repairs are a terrible idea and we are going to go over the top five right now. Okay, so obviously not all garage door repairs are dangerous, but a rather high amount of them are. Pretty much anything serious is likely to be dangerous. Broken or damaged garage door springs are particularly dangerous and can cause serious bodily harm or death, even if you are not trying to repair them yourself. 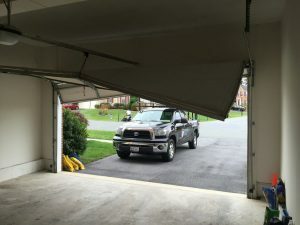 It is probably better to stay out of your garage if they are damaged or loose in any way. A little-known fact is that the lightest garage door out there still weighs eighty pounds, give or take. That is eighty pounds falling on your chest, head, back, etc. This can also cause serious injury or death, not to mention serious property damage. You know what costs more than garage door repair services? Automotive repair services, hospital bills and funeral fees. It is also dangerous to fall while trying to repair your own garage door. You might very well repair the wrong garage door part. Can you imagine replacing your garage door springs or rollers when it was really a cracked garage door track all along? Worse, you might completely break the garage door tracks in the process of replacing the other parts. That will lead to a serious, and maybe a fatal accident. Are you an expert on garage doors? Probably not. So what is going to stop you from buying the wrong parts? Some garage doors have specialty parts that are hard to find. Some garage door parts are just easily mixed up with others. It is also common practice for amateurs to rig up the wrong parts to work, at least, for a little while. This will do more harm than good, in the fact that it will further damage your garage door. Please, don’t do this. Seriously, it is a waste of not just time, but also money if it isn’t done right on the first try. This is basically all of the other reasons combined. You might get hurt doing it yourself. You may repair the wrong part. You could use the wrong tools or not put the parts on correctly, which is bad, if you haven’t gathered that already. It will be a waste of time to attempt DIY garage door repair if you don’t do it right the first time. That simple garage door piece that needed replacing just turned into five pieces broken. Is that really worth the trouble of trying to save a little bit of money? This might sound like a sales pitch, and that is probably because it is. Obviously, it is one that you need to hear if you are reading this. Clarks Garage Door & Gate Repair has been providing garage door repair services for decades. We also provide garage door installation services, also for decades. Our skilled service technicians have years of experience on the job. They make everything as simple and quick as possible for our valued customers in need of garage door services. 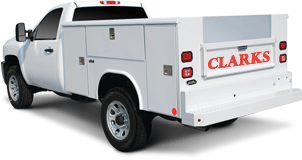 Clarks Garage Door & Gate Repair is easy to reach via our website or by calling (213) 769-1370. Should I Insulate My Garage Door? Survey Says Yes!